Over 60 years ago, a legend was born: the Mercedes-Benz 300 SL. An automotive icon, it set new standards in sports car design and engineering. Today, the latest SL roadster continues that proud tradition. The striking new face end evokes fond memories for roadster enthusiasts. The steeply pitched radiator grille pays elegant homage to the 300 SL Panamericana. The back of the car features integrated tailpipe trims and a diffusor for a little bit of extra attitude. The SL's timeless profile exudes elegance in its purest guise. The SL offers a spacious interior and exquisite features with top quality leathers combined with wood or aluminium finishes. The new multifunction sports steering wheel has gearshift paddles hidden behind it so your hands never have to leave the wheel and sports seats’ high side bolsters to hold you comfortably in place. The Mercedes-AMG SL 63 says performance even at a standstill. Model specific bodystyling, 10-spoke 19" alloy wheels, AMG sports exhaust system with chrome tail pipes, and V8 BITURBO lettering on the front wings add to the dynamic looks of the SL 63. The SL delivers a driving experience to set the pulse racing but it still has safety at its heart. Built around our integrated safety concept, it blends comprehensive occupant protection with intelligent systems designed to help prevent accidents. These include ATTENTION ASSIST, which monitors driver behaviour for signs of fatigue and issues warning accordingly. There's also the Intelligent Light System, which adapts the headlamps to suit specific driving conditions. The PRE-SAFE® anticipatory safety system is another standard feature, while options include the Driving Assistance package, comprising technologies such as Active Blind Spot Assist. 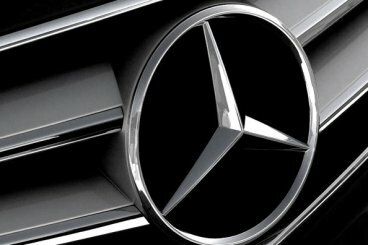 At Sytner Group we employ finance specialists in every dealership, who can advise on a variety of funding solutions for the Mercedes-Benz SL-Class.